If necessary, it is possible to define a Dimension that enumerates only a limited set of the available values, with the remaining values grouped under a catch-all 'Other' Dimension Value. For example, you may have three key products that make up most of your business, while the rest of the products can be collapsed into a single dimension. 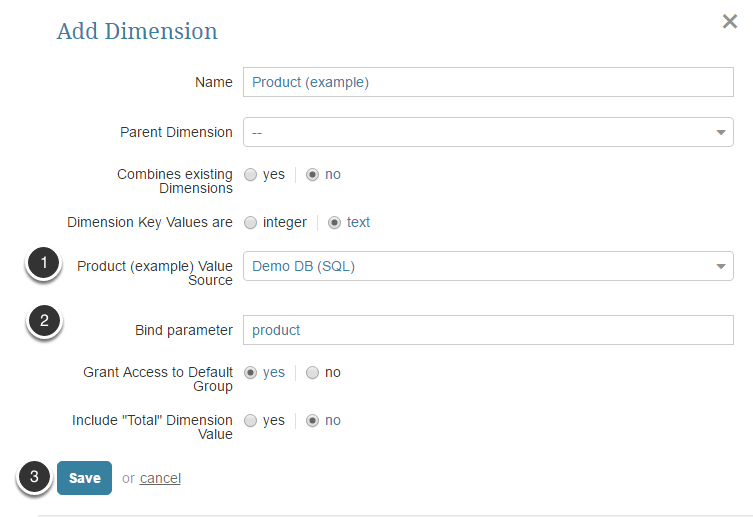 You can do this in Metric Insights by writing a fetch command for your Dimension that creates this grouping. This article explains how to create anduse this Dimension when defining Metrics and Reports. 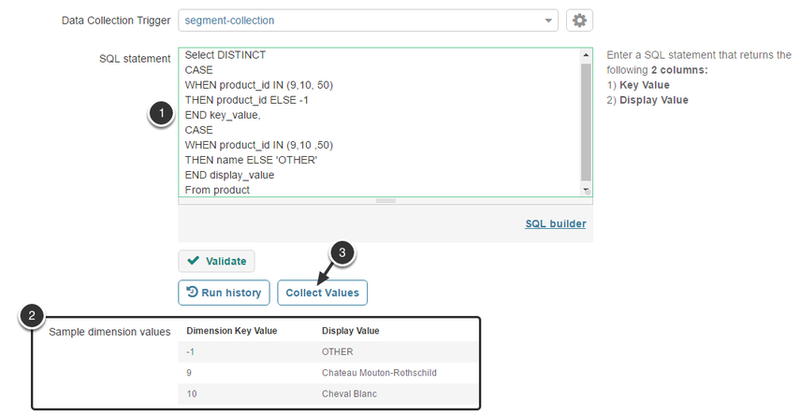 In this example, we define a Product Dimension and select three specific products for Dimension values while assigning the rest of the products to an 'Other' Dimension value. Note how the CASE statements are used to surface the three desired products and to bucket the rest of the product into the "OTHER" Dimension with a key value of -1. 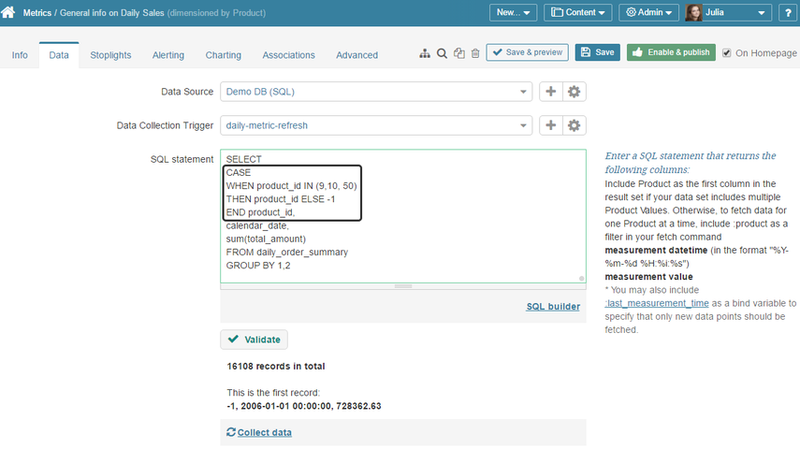 The second CASE statement selects the product names for the three products with product_id of 9, 10, and 50 and groups the rest of the products under "OTHER"
When writing a fetch command for a Metric or Report that uses this Dimension, include the same CASE statement logic used to select the key value for the Product Dimension.